A planned gift is one which you make during your lifetime but which is not received by Puffy Paws Kitty Haven until a future date. It could offer financial benefits to you, the investor, now while you are living. 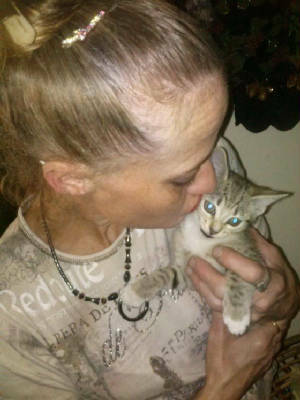 Did you know there are planned gifts that you can make and enjoy certain IRS tax benefits Now while having the joy of knowing you are undergirding the future of these precious special needs kitties. Dawn Marie Bates-Buchanan, Esq. 941-749-3015. Surveys show that only 4 out of 10 Americans across all age groups have current wills, concluding that this is a subject most people avoid. If a will is one of the most important documents you can own, why do so many people live without them? Perhaps they think that by postponing death planning, they can postpone the inevitable? Or maybe they simply don't want to take the time or money (a relatively small amount) required to create an up-to-date will. We suggest that it is time to think differently about a will. Think of planning a will as planning to improve and stabilize the financial security of yourself and your family. By thinking in this way, you will be putting present goals first. You may have heard that if you die without a will, the state will take all of your property. While this is not usually true, it is fact that the state in which you live at the time of death is going to step in and determine exactly how your property is distributed—unless you have prepared a will. Without a will, your wishes and good intentions are meaningless. Your estate will be divided using a predetermined formula that won’t take into account special needs or circumstances. In most states, your assets will go to immediate family—a portion to a surviving spouse and a portion to any children you may have. If you have no immediate family, they will be divided among other relatives. State laws do not provide for close friends, employees or other loved ones, such as your spouse’s family members. Neither the old friend that you wanted to remember with a treasured heirloom or the next-door neighbor who was always there to help will receive as much as a dime if you don’t have a will. The same holds true for charitable organizations that you may have wanted to support generously after your death. If there is no will, there is no support. 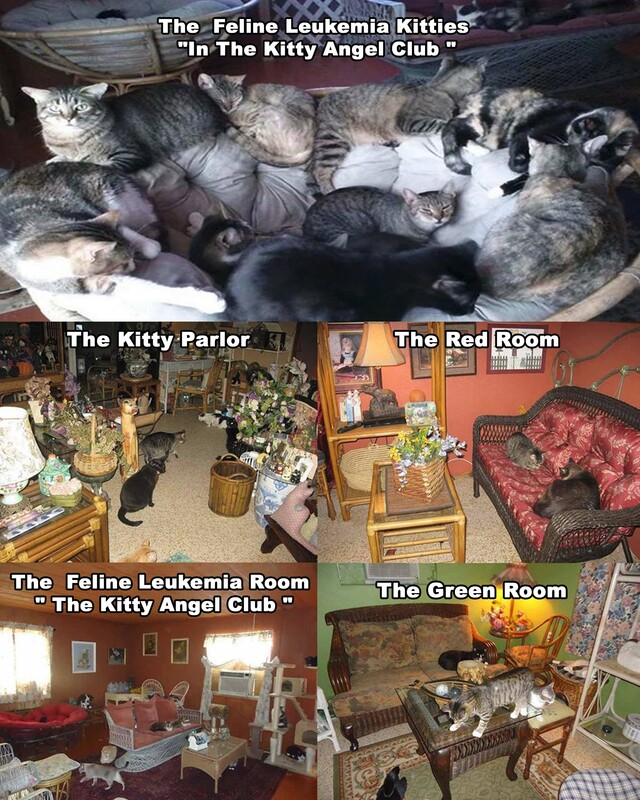 A will allows you to remember the people you care about and the kitties at Puffy Paws Kitty Haven. If you plan to make a charitable gift by will, please think it through carefully. Then, meet with your attorney to discuss and update your will. Tell him or her exactly what you want to do. A General Legacy Statement: I __________ devise and bequeath to Puffy Paws Kitty Haven, Inc., a non-profit agency registered in the State of Florida, the sum of $_____ (or otherwise describe the gift; often a percentage of the estate is designated) to be used in the furtherance of its mission and general purposes. Be as clear as possible in describing what you want given to whom. Here are eight generally accepted ways to make a bequest. You might discuss them with your attorney as you prepare to update your will. The following items can apply in the case of bequests to individual heirs or bequests to charitable organizations. Specific bequest. This is a gift of a specific item to a specific beneficiary. General bequest. This is usually a gift of a stated sum of money. If there is not enough cash in the estate for the specific sum, other assets must be sold to meet the bequest. Residuary bequest. This is a gift of all the "rest, residue and remainder" of your estate after all other bequests, debts and taxes have been paid spouse. The following items are special considerations when you plan a charitable bequest to help support the mission of Puffy Paws Kitty Haven. Unrestricted bequest. This is a gift for our general purposes, to be used at the discretion of our founder/director and Board of Directors. A gift like this–without conditions attached–is frequently the most useful, as it allows us to determine the wisest and most pressing need for the funds at the time of receipt. Restricted bequest. This type of gift allows you to specify how the funds are to be used. Perhaps you have a special purpose or project in mind. If so, it's best to consult us when you make your will to be certain your intent can be carried out. Honorary or memorial bequest. This is a gift given "in honor of" or "in memory of" someone. We are pleased to honor your request and have many ways to grant appropriate recognition. Endowed bequest. This bequest allows you to restrict the principal of your gift, requiring us to hold the funds permanently and use only the investment income they generate. Creating an endowment in this manner means that your gift can continue giving indefinitely. The concept of the charitable gift annuity in America dates back to the 1870s, when a parishioner first donated a valuable asset to the church in exchange for a flow of income. Today, the concept includes valuable tax benefits for donors. What are your plans for the future? While there is no single way to achieve all of your personal and financial goals, there is one strategy that can meet many of your needs. It's called a charitable remainder trust. In the right circumstances, this plan can increase your income, reduce your taxes, unlock appreciated investments, rid you of investment worries and ultimately provide very important support. If your goal is to provide an inheritance for your children, but you would also like to make a significant charitable gift through your estate, find out how a charitable lead trust can help you satisfy both objectives. It's a charitable lead trust that can provide a significant charitable gift through your estate and provide an inheritance to your children. Perhaps you would like to make a sizable contribution to Puffy Paws Kitty Haven now to help meet our current needs, but you don't want to reduce the estate you will pass to your family. The solution? Purchase life insurance. One of your valued possessions, your home, can become a valued gift to us even while you are still living in it, and even if you want your spouse or other survivor to live there for life. This arrangement is called a retained life estate. Leave your legacy by making a gift in your will to friends, family and charitable organizations. A bequest is one of the simplest ways to remember those you care about most. If you own property that is fully paid off and has appreciated in value, an outright gift may be the simplest solution. You can deduct the fair market value of your gift, avoid all capital gains taxes and remove that asset from your taxable estate. You can transfer the deed of your home or farm to us now and keep the right to use the property for your lifetime and that of your spouse. Did you know that nearly half your retirement plan assets can be eaten away by taxes at your death? Learn how to preserve more of your estate for the people and organizations that matter most in your life. The simplest way to give. However, you can deduct a cash gift for income tax purposes only in the year in which you contribute it. Your cash gifts are deductible up to 50 percent of your adjusted gross income for the taxable year, but any excess is deductible over the next five years. Closely held stock, that which is not publicly traded, can also be used as a charitable gift even if you want to maintain a control position in the stock. Which Gift Matches Your Goals? Whether you want to eliminate taxes or benefit from an increased income stream, there is a gift to fit every objective. And no matter how or what you give, rest assured that you will be helping out animals that have been abused homeless and stray. Your gift will help those in need now and those yet to be born. Please contact your Law Firm for further guidance or please conatct ours: Dawn Marie Bates-Buchanan, Esq. 941-749-3015. 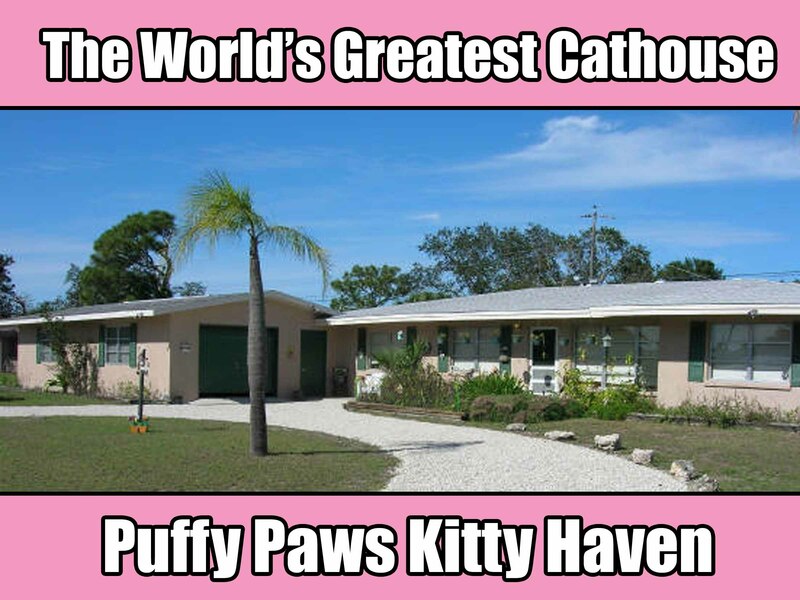 Puffy Paws Kitty Haven's contact number 941-623 -8904. 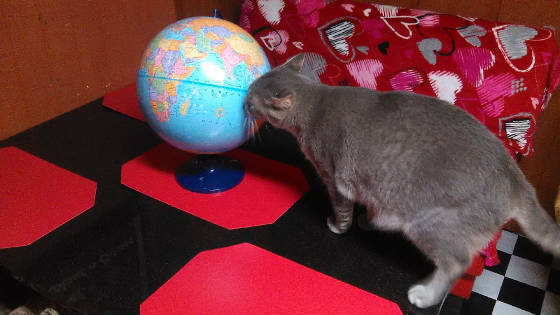 Those touched by the Mission of Puffy Paws Kitty Haven share a common legacy. We believe that all gifts are important. 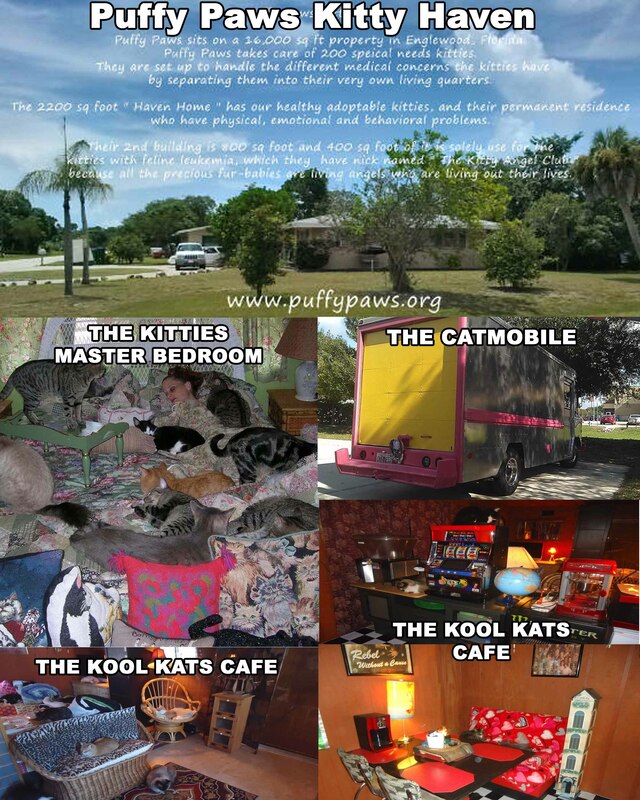 Puffy Paws Kitty Haven could not operate without caring people who share our Vision and Mission. We also know that it is the consistent annual giving of all those who treasure the Mission that remains paramount to our existence and will continue to provide the foundation of all giving.